The P10 was Wurlitzer’s first jukebox. 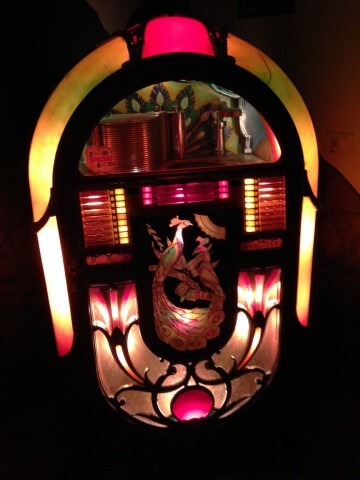 The repeal of prohibition in December 1933 led to the opening of many public drinking places and live musicians and jukeboxes were the primary forms of entertainment. Wurlitzer and other jukebox manufacturers were quick to capitalize on the repeal. 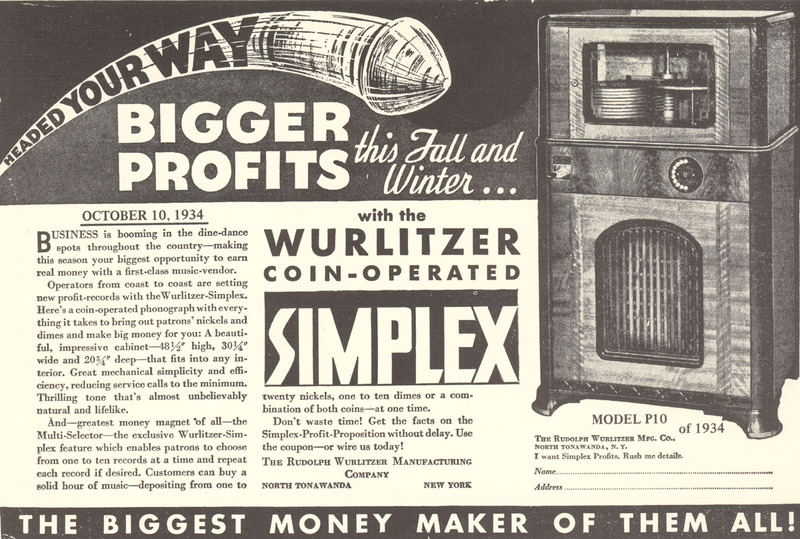 Advertisement for the Wurlitzer P10 (click for larger). This jukebox was found in the old Denver Hardware building that was slated for demolition. The owner was able to purchase it for approximately $100. The owner contacted me to determine what was needed to get it working. 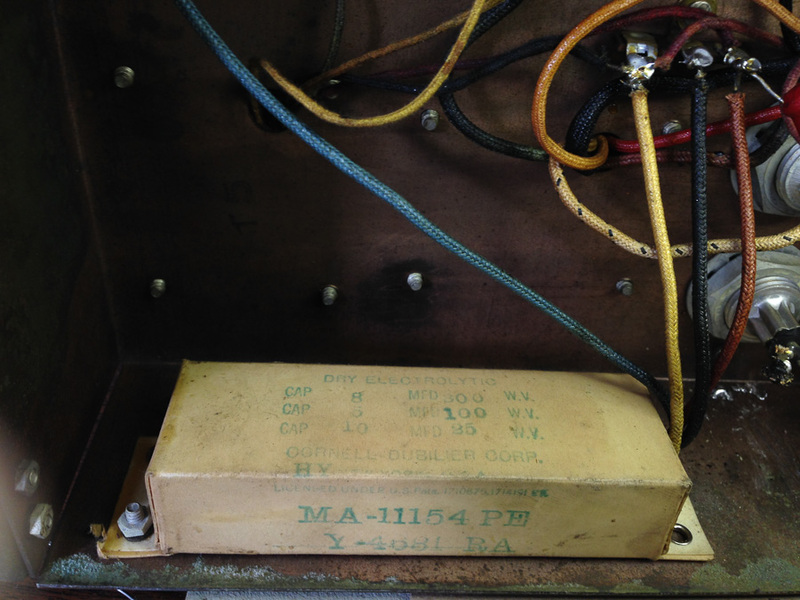 Although the cabinet was a little rough, the amplifier and mechanism seemed to be largely untouched. It looked like once it stopped working, no one had tried to fix it and it just sat for decades. The internal counter says it played 40,000 records in its life. Once I got the mechanism unfrozen and lubricated, I discovered the motor was burned-out. Many electric motors of the 1930s and 1940s didn’t have protection circuits to shut the motor down if stalled or stuck. I later discovered a 15 amp fuse in the 6 amp fuse holder. 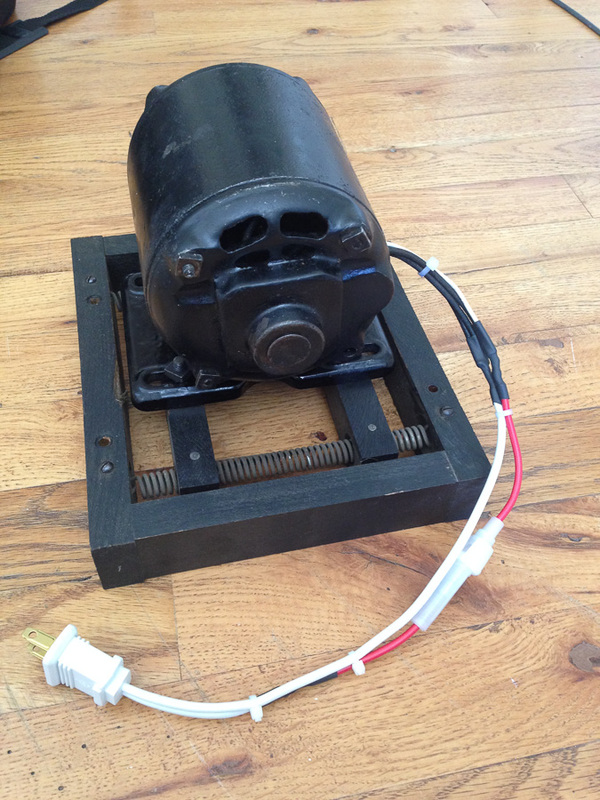 Motor with rear casing removed. 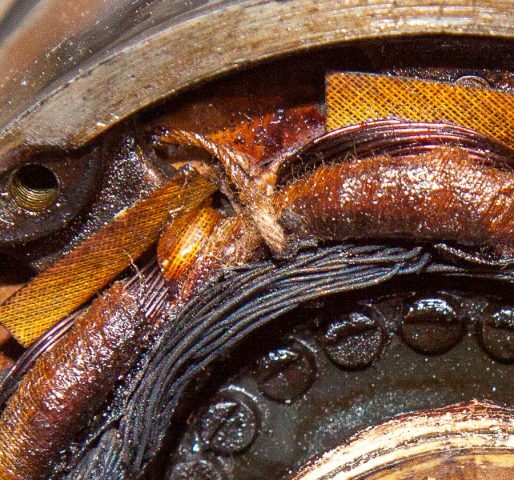 Note the inner layer of windings which are charred. Quotes to rewind the motor were in the neighborhood of $700.00. I was able to find a motor on E-bay which came out of a Wurlitzer 412 for $80, so we decided to give that one a try first. Motor purchased on E-bay was poorly packaged and arrived with broken wires and styrofoam pieces inside of the motor. I had to take apart the motor I purchased on E-bay to repair it. I installed a fuse on the motor along with new wiring. Hopefully the fuse will protect the motor in case the jukebox mechanism jams. Motor ready to be placed back into jukebox. The next item was to check the amplifier. 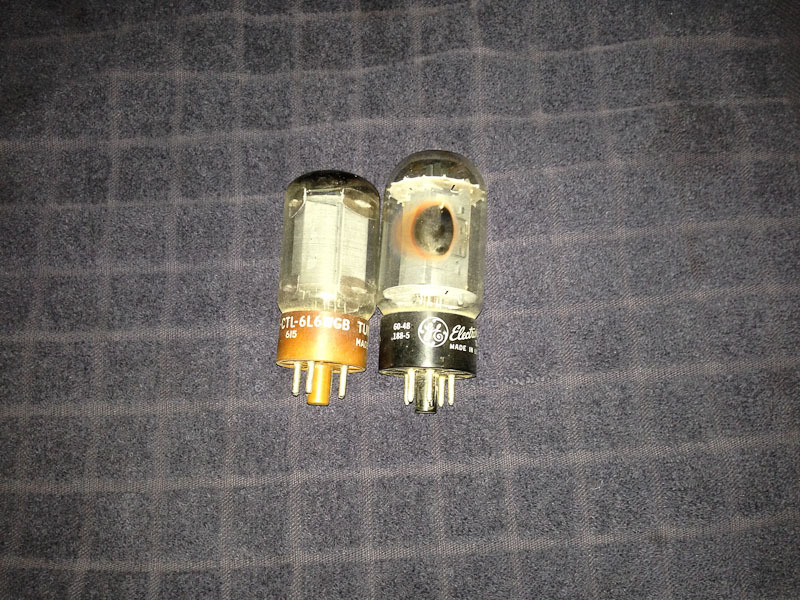 It was missing two 2A3 tubes, but fortunately they are still being made in Russia and China, and I was able to order a pair. 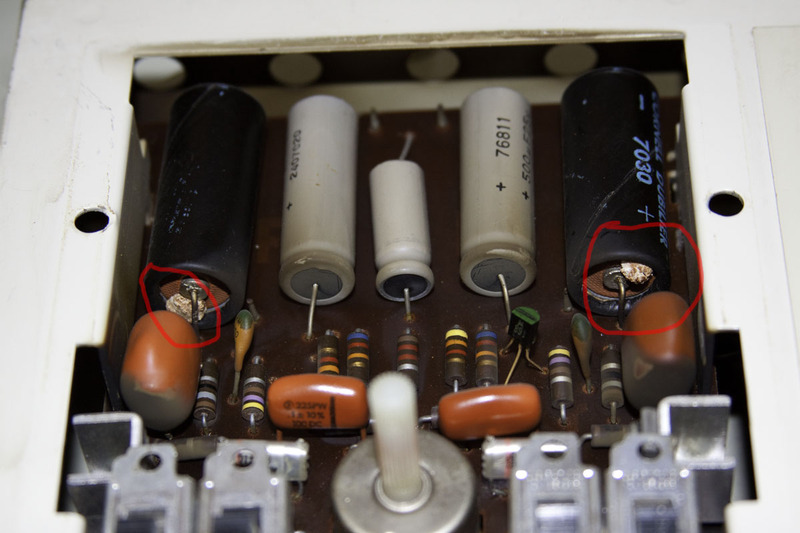 The capacitors in the amplifier needed to be replaced. 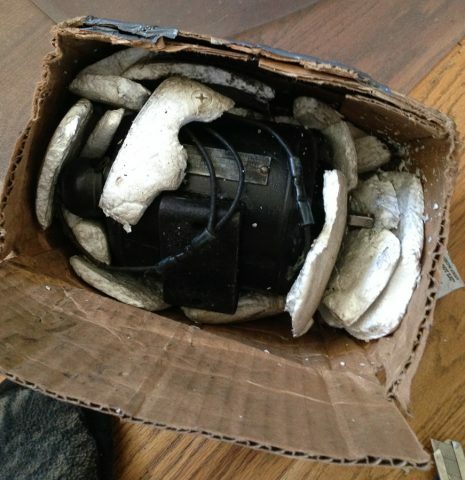 Dry electrolytic capacitors in a cardboard box. Once the amp and the motor were reinstalled (and the correct fuses installed), the jukebox fired up and played a record. Jukebox playing one of the records that was found in it. Note the original needle. The needle and sound system was kept original and it sounded good. Now the only thing it needs is a cabinet restoration, which I no longer do. But I know some cabinetry people who can do this. Locations: Basalt, Colorado; Grand Junction, Colorado. First stop was to work on a Wurlitzer jukebox model 1100 (1948). Like many 1940’s Wurlitzers I’ve worked on, the selector shaft and heart-shaped cam was not rotating due to lack of recent lubrication. This causes it to play one selection regardless of what was selected. Unfortunately, it’s not an easy thing to get freed up, and takes a lot of exercising and time. The jukebox needed some other adjustments, such as the turntable height and the clutch. I replaced the line cord because it was in very dangerous condition. The color cylinder plastic sheets were also replaced. This was an original, un-restored 1100 in good condition. Next stop was to work on two Williams electro-mechanical (EM) pinball machines, Grand Prix and Aztec (both 1976). 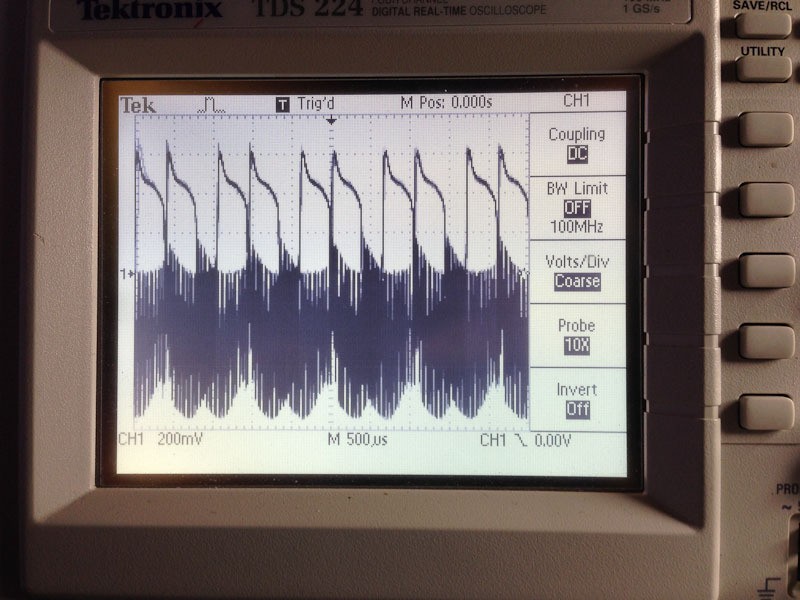 The main problem with these machines were the stepper units were not freely ratcheting up and down. This is the number one problem with EM pinball machines. A quick disassembly, cleaning and lubrication fixes the problem. Occasionally the spring tension needs to be adjusted. The Aztec was missing some electrical parts, which can’t be obtained unless someone is parting one out. But I got it working as best I could. Next stop was an AMI jukebox, model A (1946), which is also known as the Mother of Plastic. The selection mechanism was frozen due to lack of recent lubrication. Like the 1100 above, it took a while to get it unfrozen and moving freely. The selection buttons needed some contact cleaning and lube (buttons would stick when pressed). The tonearm wire where it plugs into the amp needed to the resoldered. All in all, a great sounding jukebox. It was satisfying to breathe some new life into these old machines. 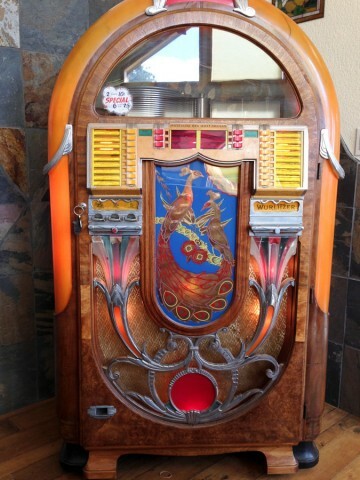 This jukebox is a beauty, with a wonderful patina that I don’t see very often because it still had its original plastics and the original chrome has worn off most of the metal. 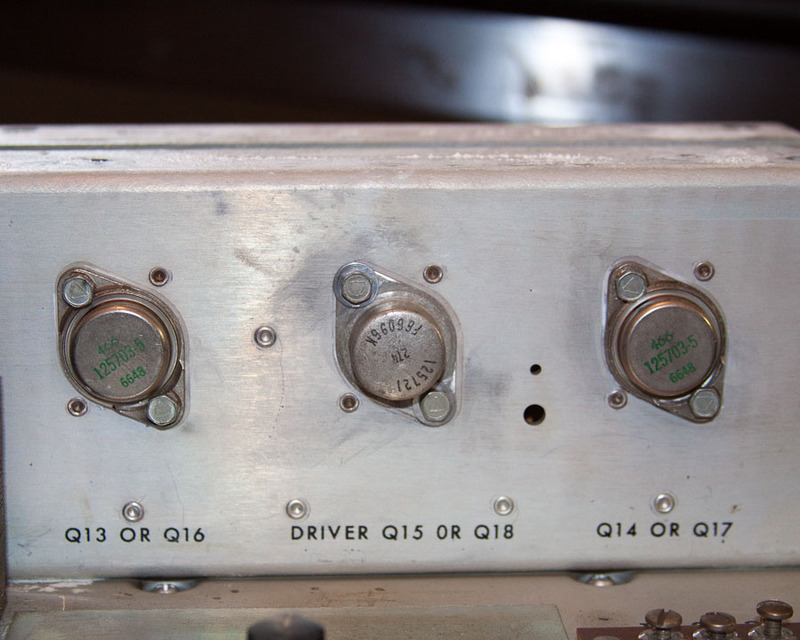 Most jukeboxes of this vintage have had their plastics replaced and their metal re-chromed. My initial instinct was to replace the plastics and make it look like new. But the old plastics with their muted transparency really grew on me. Besides, it doesn’t look like anyone is still making reproduction plastics for this model. 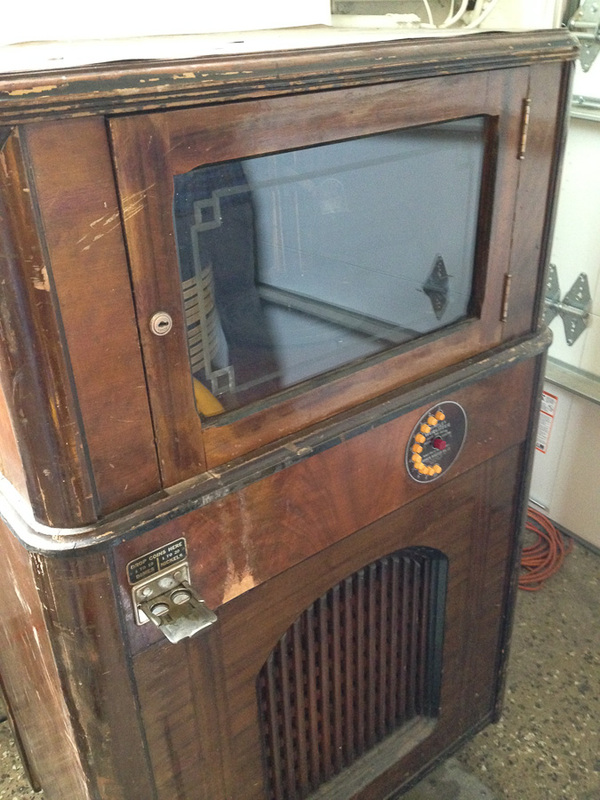 And because the German Wurlitzer company recently made reproductions, the patina sets this one apart. There were a lot of small problems with the mechanism because it was gummed up. It looked like the mech was cleaned sometime in the 1990’s so there wasn’t a ton of old grease. It just needed some fresh lube. It also needed some adjustments as the turntable wasn’t lifting high enough and it wasn’t tripping correctly at the end of the records. 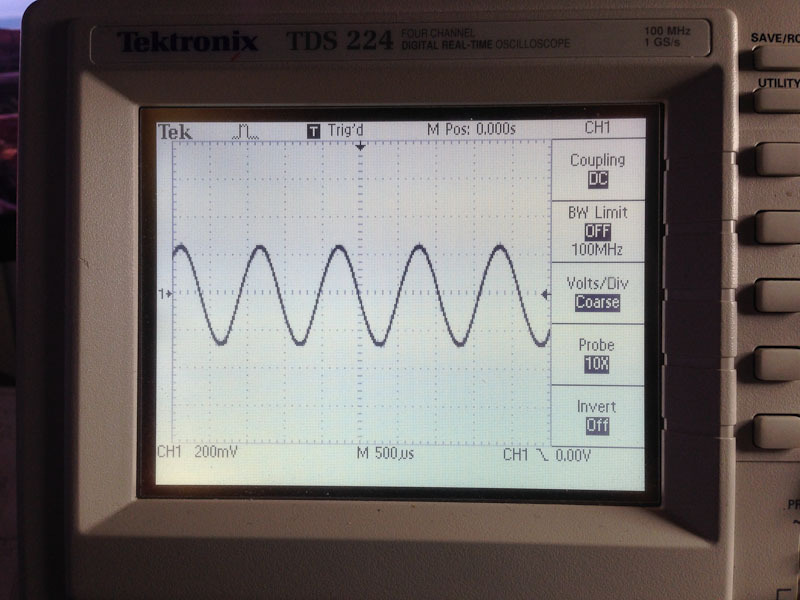 The amp didn’t sound good, but it turned out the needle wasn’t seated into the cartridge correctly. Some of the wiring in the switch junction box wasn’t looking safe, so I rewired it. Some of it previously had been bypassed. The left bubble tube was broken due to a blow to the lower grill castings of the jukebox, probably during moving. 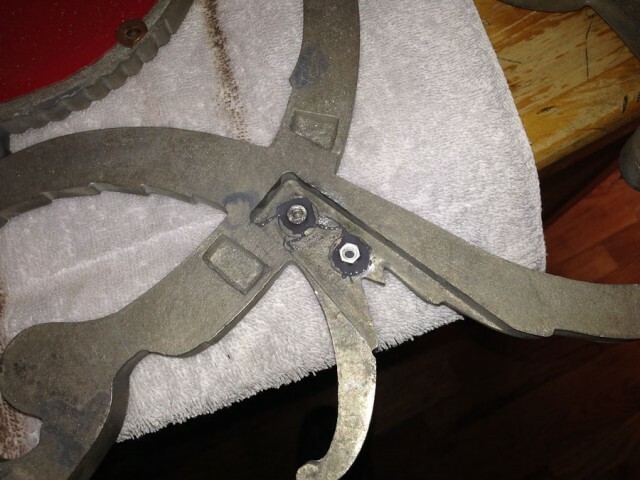 Unfortunately it broke the threaded anchor points for the screws in the castings. I removed the grill castings and used some metal epoxy to attach some new standoffs and reinforce one that was remaining. Rear of front grill casting with new threaded standoff attached. The speaker bushings were replaced with new ones, as the old rubber bushings were brittle and broken. Everything was looking, sounding and working pretty well when it was done. The repairs were performed over the course of a couple of months. Symptoms: Both record lifting arms jammed into the record carousel. The carousel was unable to rotate. 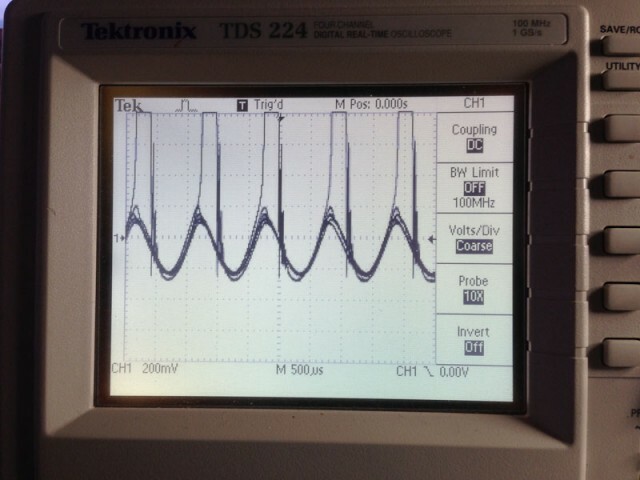 Trip switch not working. I spent a good half-hour trying to unjam the record arms from the carousel and realized there was no hope without total dis-assembly. Both tips were bent over facing the rear of the jukebox. I’m not sure how they got that way, possibly when the jukebox was moved to the basement. I’m surprised the plastic tips hadn’t broke. The only option was remove to the record playing mechanism from above the carousel, then remove the carousel. I advised the owner that this was going to take several hours. I got the go-ahead. Once everything was disassembled, I noticed the three rollers that support the carousel were frozen. A generous dousing of WD-40 didn’t solve the problem. I finally took a pair of pliers and rocked the rollers back and forth sideways to break whatever corrosion or gunk kept them from turning. That worked. Then another dousing of WD-40. I followed up with regular oil and all three rollers were spinning freely again. The tips on the record lift arms needed to rebuilt after being jammed. They are spring loaded and should open up as the arm rises into the carousel. I disassembled each tip, cleaned, readjusted, and lubricated with silicone. I put the mechanism back together and did a couple of trial runs with no records installed. Everything seemed to be working great. Once again, another bad trip switch. I encounter these a lot on later model Wurlitzers. As I have described here in this log before, I broke open the cover and flushed with contact cleaner. It’s pretty much all one can do, as you really can’t get to the contacts themselves with any kind of abrasive. I reassembled the trip switch, adjusted it, and played several records. Seemed to work okay after that. On the jukeboxes I have done this, they are still working after nearly two years. But still, it would be nice to find a replacement switch. Symptoms: Needle not contacting record, plays wrong selections. We selected a record and the needle hovered about 1/8 inch above it. I moved the tone arm and felt it binding. I put some silicone lubricant on the tone arm pivots. I also noticed the tone arm audio cable seemed to be a little tight which added to the binding. I loosened the cable clamps and gave it another 1/4 inch of slack. Usually when a Wurlitzer is not making the correct selections, the problem is either dirty switch contacts in the keyboard, or a lubrication issue with the pre-selection arm or disk at the bottom of the mechanism. Since this was probably the cleanest unrestored jukebox I’ve come across, I didn’t suspect dirty switch contacts. On the ’04 models the pre-selection disk (I don’t know what Wurlitzer calls it) is used to differentiate the letter selections. I call it pre-selection because this disk the first thing that begins moving when making a selection. The disk rotates into position determined by a couple of solenoids, then fires one of the numbered solenoids visible around the edge of the mechanism. This disk rides on 3 nylon wheels, which often stop turning with age. I lubricated the nylon wheels and got them turning again. The jukebox now made the correct selections. One additional item was that I cleaned the volume control with potentiometer cleaner. Symptom: Arm that holds CD on spindle wouldn’t release properly causing CD to fling against the back of the cabinet. I don’t normally work on CD jukeboxes, but I made an exception because Lyon’s Classic Pinball is located across the street and that would give me an excuse to go over and play some of Kevin’s 35 pinball machines from the 1960’s through present day. Sometime after Wurlitzer stopped making jukeboxes in 1974, the remaining Wurlitzer company in Germany began making some nostalgic jukeboxes with modern CD players. 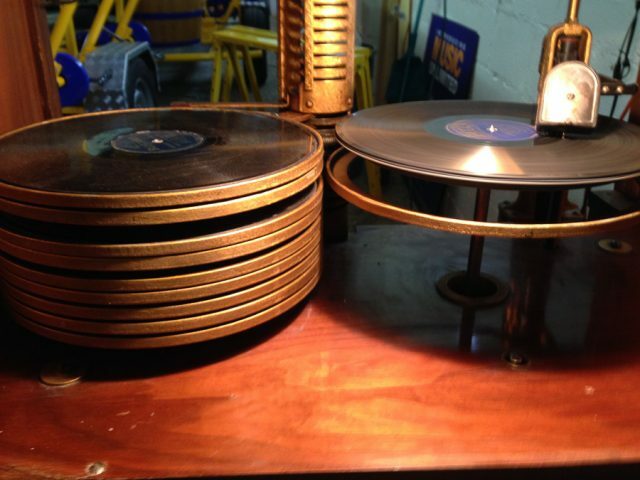 In the past I’ve worked on the original 1015 from 1946 that plays 78 RPM records, so this was interesting. I spent some time familiarizing myself with the mechanism. I looked at the lever that actuates the lift rod. Someone in the past had placed some rubber pieces at the bottom of the lift rod. Not having a service manual for this jukebox, I didn’t know how it was originally designed. It didn’t make sense how it was assembled. So I disassembled the bottom section of the lift rod and reassembled it. The lift rod and spindle arm worked correctly after that. Examining the cam that actuates the lever, it appeared mushroomed in various places, which would have reduced the height of the lift rod, which probably prompted someone to put additional rubber pieces under the lifting rod. That cam will need to be replaced someday. This post would make a lot more sense with either photos or some drawings. Maybe in the future I will update it. Symptoms: Some selections not played, record arm jamming. 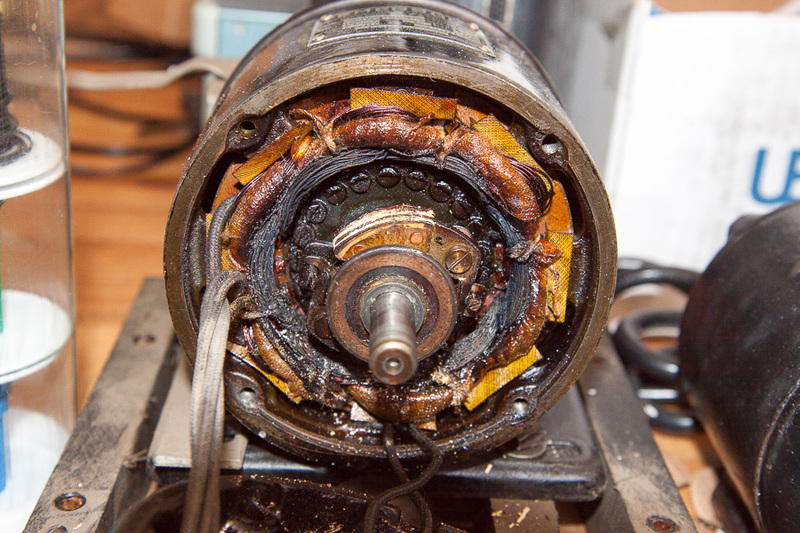 When I first arrived the mechanism motor wasn’t working. This was due to the Service Switch being off. This is used to turn off the motor when making adjustments to the mechanism. The normal operating position for the switch is on. Once we got the mechanism running, the record lift arms were occasionally jamming against the sides of the record carousel. Both right and left record arms are designed to raise at the same time. If the carousel is aligned properly, one will glide into the record slot, while the other will stop against the record divider on the opposite side of the carousel. Some of the record dividers were bent which caused one of the arms to get caught and then free itself, launching the record across the room. Once I straightened the dividers, we didn’t see that problem again. The jukebox played most records without problems, but some selections didn’t seem to work. I tested each letter and each number selection to make sure the solenoids and switches were working. There was no correlation between the non-working selections (i.e. there was letter group or number group that was not working). I had the owner make selections while I watched the selector mechanism. The rocker arms that release the selector pins were working but the pins were stuck. After some cleaning and light lubrication, the problems started going away. The owner is going to finish the cleaning and lubing on his own and will call back if he has any problems.